The brother of disgraced movie mogul Harvey Weinstein broke his silence on Saturday in a scathing interview with the Hollywood Reporter. Bob Weinstein referred to his brother as a “predator,” adding that he was shocked by Harvey Weinstein’s lack of remorse. “I want him to get the justice that he deserves,” Bob Weinstein said. 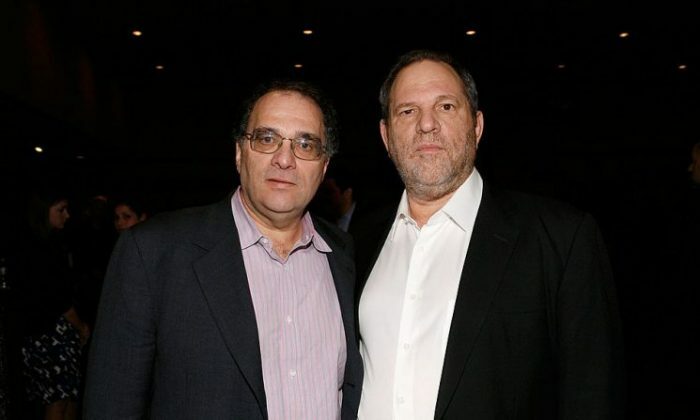 The two brothers ran The Weinstein company for nearly three decades, though Bob Weinstein was largely out of the spotlight. His brother meanwhile traveled the globe for award ceremonies and movie promotions. Two bombshell articles, one by The New York Times and another by The New Yorker, revealed decades of sexual abuse by Harvey Weinstein, who settled at least eight lawsuits with victims over the years. Bob Weinstein expressed shock and disgust about the allegations throughout the interview, saying that he never knew the extent of his brother’s abusive behavior. Bob Weinstein said that he had little personal contact with Harvey Weinstein over the past five years, saying that the two had “divorced.” Bob Weinstein ran Dimension, a division of the company that made less glamorous but more financially successful films. Only Harvey Weinstein’s biggest hits were more successful than Dimension blockbusters like the “Scream” and “Scary Movie” franchises. Bob Weinstein also said that he was the subject of Harvey Weinstein’s notorious verbal and physical abuse. Bob Weinstein said he was aware that his brother constantly cheated on his wife, but never knew that Harvey Weinstein forced himself on women and got his way without consent. Bob Weinstein is now taking care of the chaos his brother’s situation introduced to the business. He wants to keep his brother from the company and salvage as much of the business as he can. He also plans to ask the Film Academy to kick Harvey Weinstein out.